Description: This home has the best of both worlds, country and city. Home sits on over 1 acre but is close to u.K. Schools and shopping. 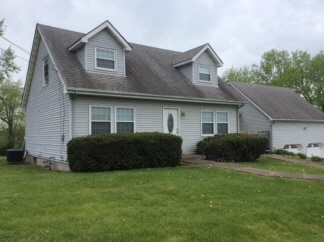 4 bedrooms, 2 full baths, plenty of room and many updates such as windows, doors, interior and exterior. Dual fuel heating and ac unit, carpet upstairs, and water heater also replaced about 5 yrs ago. New granite counter top in kitchen. Nice large shed, garden area and a very large 2 car attached garage. Seller is a realtor not working with busy bee realty. Data believed correct but not guaranteed. Buyer to verify data prior to offer. Agents read agent remarks.